Some scaffolds around the park, but mainly to do some refurbishment works on the support pillars for the pool shades. Some aquarium windows can be seen here. 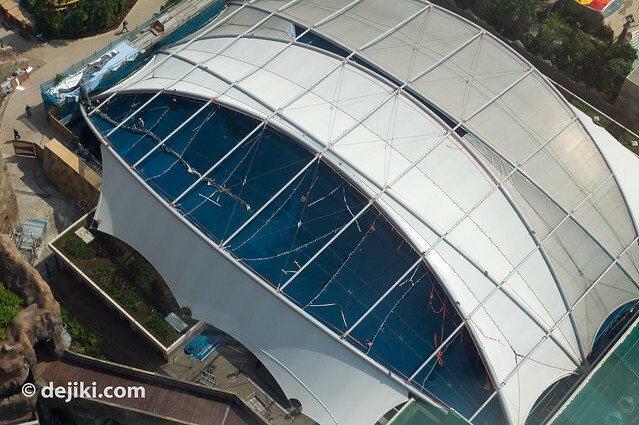 The roof for the main Aquarium building is being replaced. 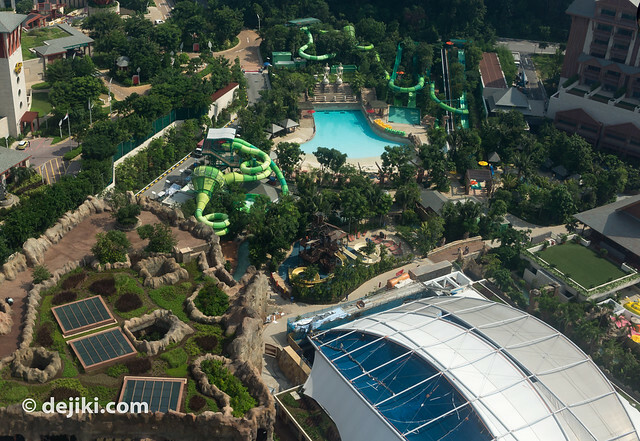 Adventure Cove Waterpark has been ready… for a few months. Spiral Washout and Whirlpool Washout were in operation. And it’s nice to see that the loading area has a shelter. 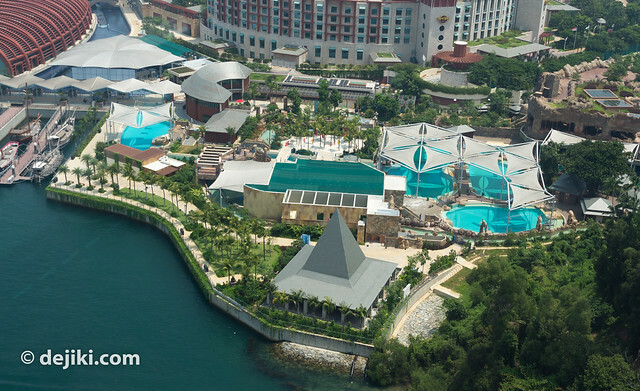 BluWater Bay – Fixed and blue again. That’s all for now. 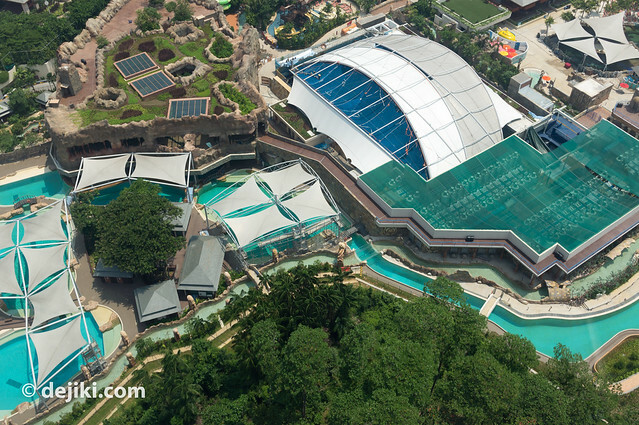 Marine Life Park is expected to open in end November or early December, before the Resort’s grand opening on December 7th. 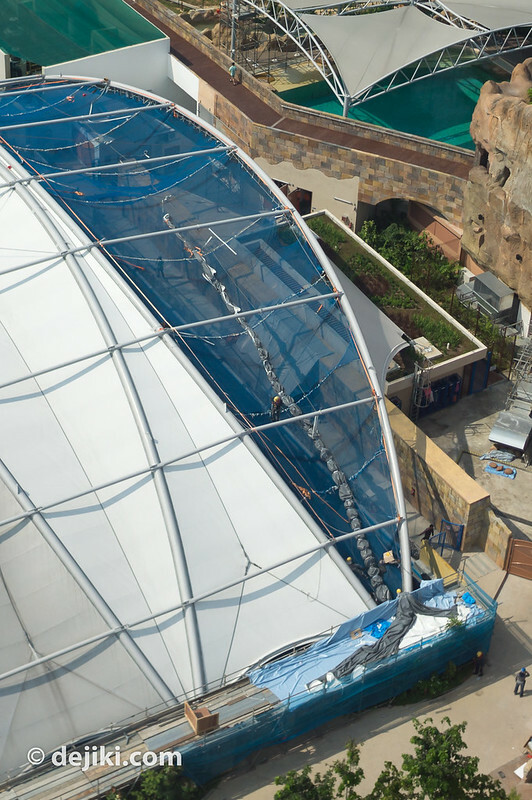 Opening hours, dates and ticketing information for the park have yet to be announced. Stay tuned (Subscribe!) for the next update. There is so much to anticipate in the following months! 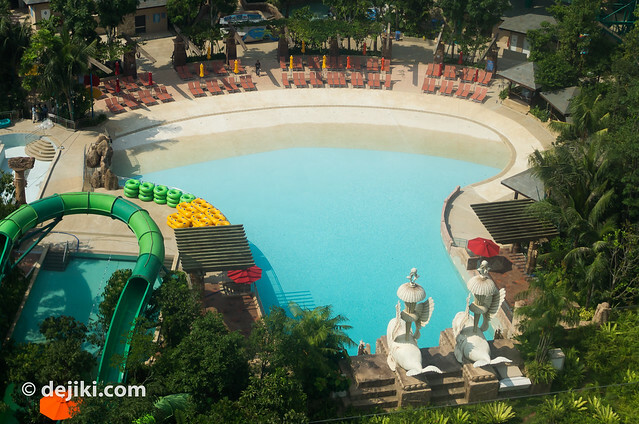 HHN 2, Sesame Street, Marine Life Park, and even River Safari! I just have to survive my exams and then it is just pure fun! Yes, I can’t wait for all the attractions to open too. 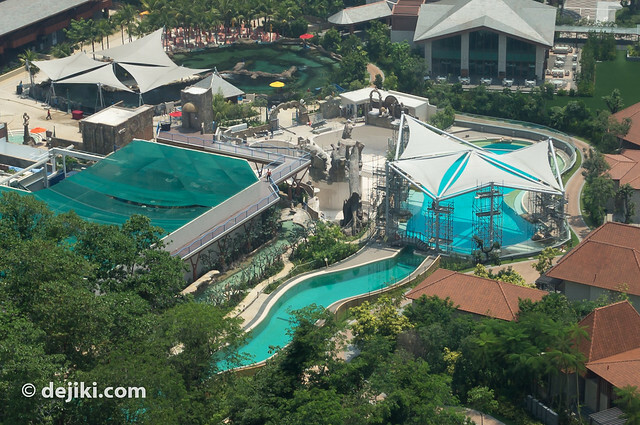 As for River Safari, we have to wait a bit longer, it’ll only be complete in Q1 2013. Well the Pandas will go on display in advance from December (normal Zoo admission + $5/$3 for adult/child). Hopefully MLP can open by Nov, so visits to the new attractions can be paced out. Love your blogs! We are going to Singapore at the end of August 2013. 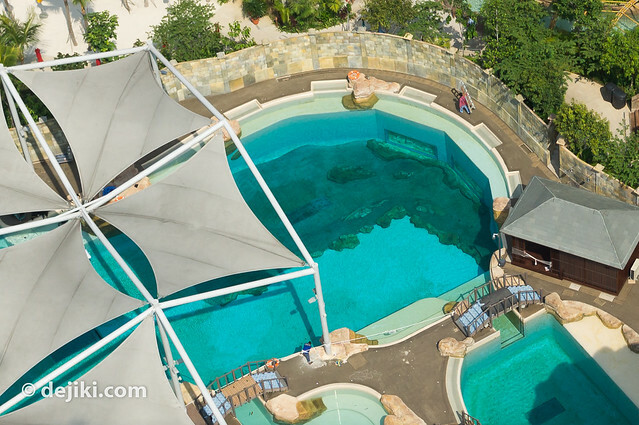 Do you know if the Dolphin Island will be open by then please? 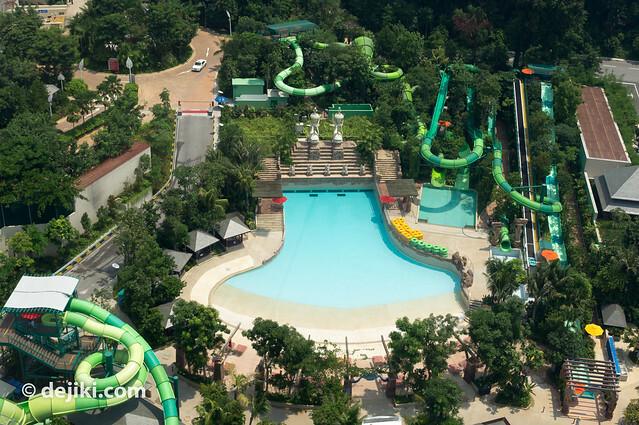 Hi Hilary, the park has announced that it should open in early 2013. 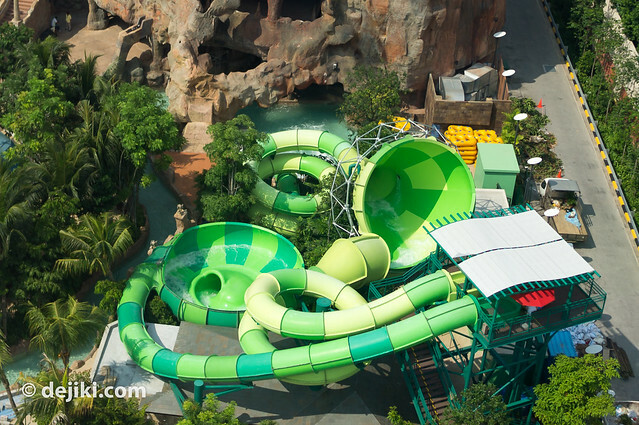 Tentative admission rates for MLP (subject to change): Adventure Cove Waterpark = S$49 / S$38 (Adult/Child), SEA Aquarium = S$28 / S$22. Thanks for the info, Zooish!